It's to the point that I look forward to getting the Williams Sonoma catalogue... for the recipes. It all started with this chicken recipe. I enjoy browsing the seasonal products, but I've been finding some really good recipes too. 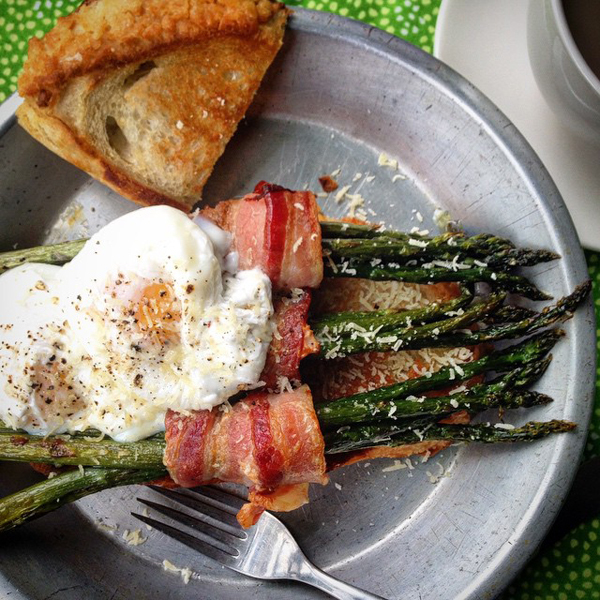 For weekend brunch we made this poached egg and bacon wrapped asparagus dish. Aaron poached the eggs, as that is a have a terrible time poaching eggs. I even toasted the bread in a skillet on the stove. This was so good. I don't think we could have had anything better in a restaurant that morning. 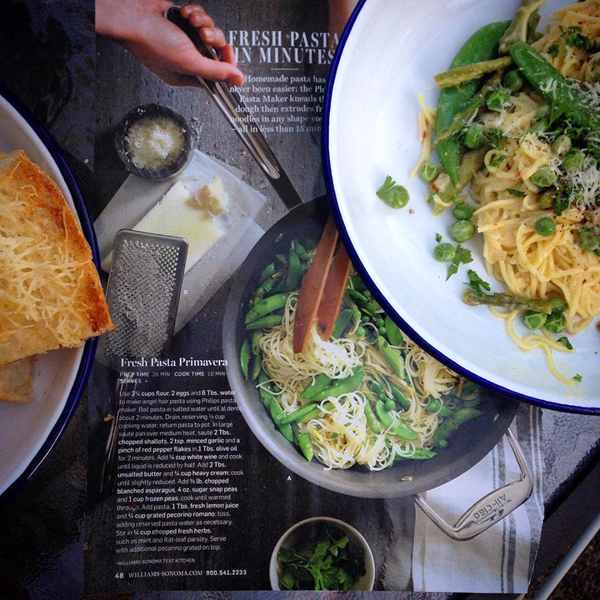 When I saw this Fresh Pasta Primavera in the catalogue, I couldn't wait to make it. It's such a good summer dish with fresh peas, snap peas and asparagus. Can't go wrong with the fresh veggies. WS has cooking classes too, maybe something fun for winter.